When you stay at Grand Strand Resorts you have access to some very unique Myrtle Beach golf packages offered even if you’re on a tight budget. 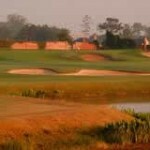 Several provide three or far more rounds of golf plus accommodations and meals at a very affordable price. Arriving during the off-season will have you saving a bundle on golf as well. Golfing is an extremely popular sport and it brings thousands of people to Myrtle Beach every year. If you are seeking challenging greens on which to play, comfortable accommodations in which to lodge, and plenty of extra perks, then check out what we have to offer at Grand Strand Resorts. With over 110 championship courses for golfers to take pleasure in, you’ll have awesome lodging along with exceptionally well-priced Myrtle Beach golf packages when you reserve your accommodations through us. Ask us about our Barefoot Package where you can play 3 Barefoot courses, and get the 4th Barefoot round free! Courses include Barefoot – Norman, Barefoot – Love, Barefoot – Fazio, Barefoot – Dye. Or our Classic Package that is 8 rounds for the price of 4! Good package, great pricing and free replays through June 3, 2012. Courses include Indian Wells, Founder’s Club at Pawleys Island, Burning Ridge, and Black Bear. When you purchase Myrtle Beach golf packages with us you’ll be able to take advantage of the DIY Tee Time Booking feature on our website where there’s no lines, no waiting. We’ll see you soon!